At least that’s the opinion of one retired army officer who during his 20-year career helped to assess tank designs on behalf of U.K. policymakers. When the Ministry of Defense in 1987 decided to replace its existing Chieftan and Challenger I main battle tanks, according to Stuart Crawford, a regular officer in the Royal Tank Regiment, the obvious choice was Germany’s own latest tank. “Leopard 2 was our recommendation,” Stuart wrote at U.K. Defense Journal. “And obviously we were ignored.” The other options were the American M-1A1, the French Leclerc and the British Challenger 2. The ministry chose the Challenger 2 with its 120-millimeter rifled main gun, four-person crew and questionable automotive reliability. It perhaps shouldn’t have, Stuart wrote. “However, at the time, and rightly or wrongly, it was deemed too much of a risk” owing to France’s fractious relationship with NATO. The British Army ultimately bought around 900 Challenger 2s but by 2019 had reduced its fleet to just 227 tanks. Challenger 2s in 2017 took part in the British Army’s biggest European exercise in many years. Eight hundred British troops and scores of vehicles deployed to Poland and the Baltic states to train alongside troops from 16 other NATO countries. 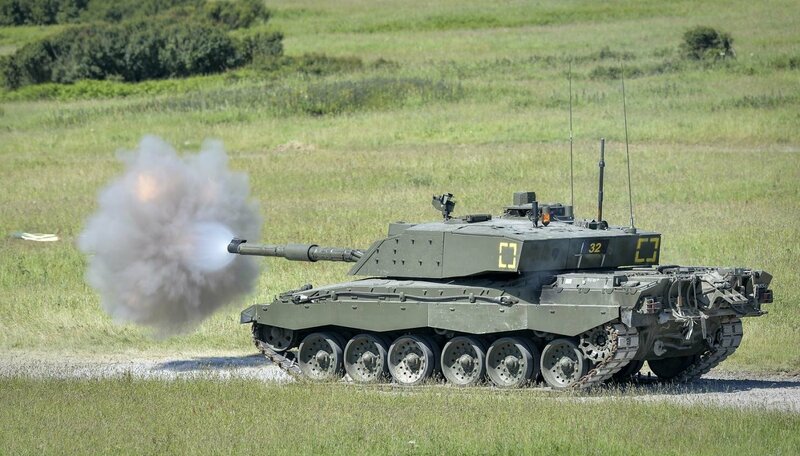 But the Challenger 2s have suffered from a lack of upgrades. A new urban camouflage scheme that the Royal Tank Regiment in 2017 applied to a few Challenger 2s belied the vehicles’ unupgraded guns, armor and engines. At the same time, the United States was rolling out ambitious upgrades for its M-1s while Germany and France embarked on the joint development of a brand-new tank. The Ministry of Defense in 2019 could award a contract for the Challenger 2’s first major update in years. “Rheinmetall has offered to swap the Challenger’s 120-millimeter rifled gun for a smoothbore weapon, while the BAE-led partnership Team Challenger 2 offered to fit an active protection system,” Defense News reported.